Police issued an Amber Alert for an 8-month-old baby girl in Queens. Checkey Beckford reports. A missing 8-month-old girl was found safe Saturday morning after authorities issued an Amber Alert, police said. 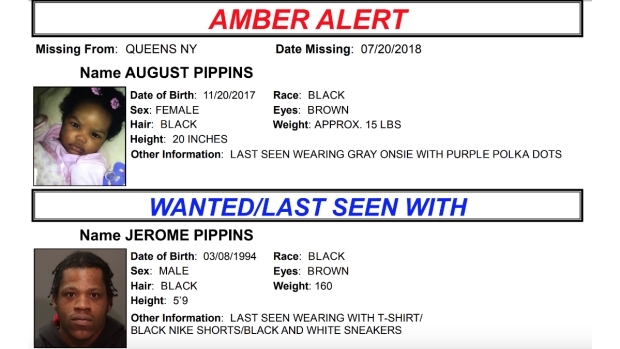 The baby, August Pippins, was found in good physical condition shortly after 8 a.m. in Harlem, the NYPD said. She was taken to Harlem Hospital for observation. 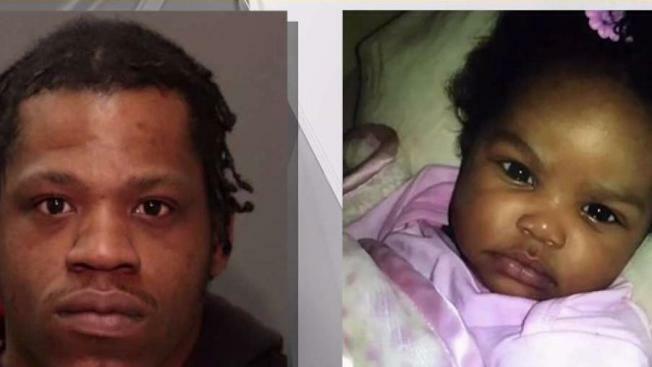 Her father, Jerome Pippins, was taken into custody, police said. Charges were pending. Police said the father took the child Friday night from a family shelter at 90th Street and Van Wyck Expressway in Jamaica, Queens, then fled on foot, police said. Her mother called 911. Police had said the parents had argued before the father took the baby by force.